The American Alligator species is 37 million years old. Dating back to the prehistoric era, this impressive animal is one of two species that survived extinction and now thrives in the Southern states of America. If you’ve got a hankering to check out these water dwellers, then we’ve found the 5 perfect destinations that will satisfy your need to witness wildlife in action. You can see these predators up and close and personal in nature reserves that protect specific breeds and their natural habitat, or you can venture out into the swamps and wetlands the American Alligator calls home. In New Orleans, you can set out on a search for wild alligators or you can stop by one of the wildlife and park preserves. If you’re looking for a spontaneous experience and want to catch a glimpse of a roaming gator’s life, head to City Park. New Orleans alligators used to occupy the wetlands and swamps that surrounded the city but after they were drained, the gators relocated to the City Park and can be seen in the waterways and lagoons. Because their natural habitat has been drained of natural resources, literally, most of the alligators can found and safely interacted with at local preserves and zoos. 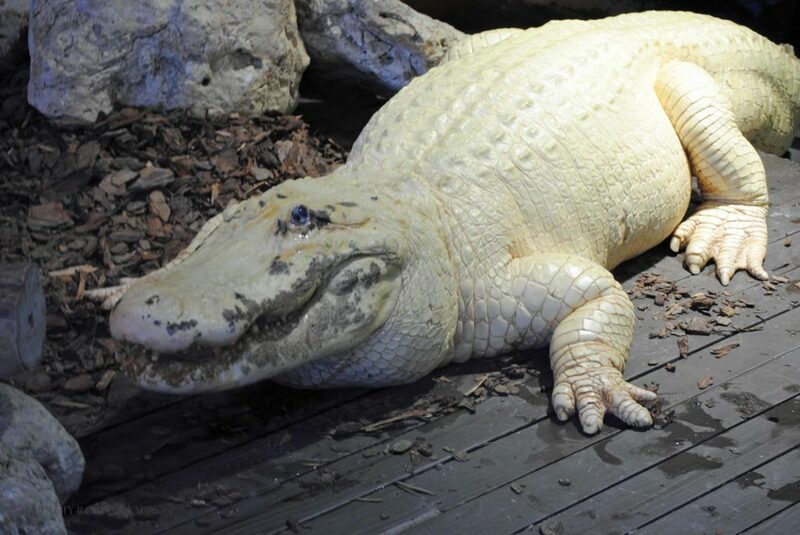 If you want to see a unique type of alligator, the Audubon Zoo and the Aquarium of the Americas shelters large, white alligators and that can’t be seen in the wild. There are only 12 white gators left in the world today. Myrtle Beach isn’t just a great to place to party on Spring Break. 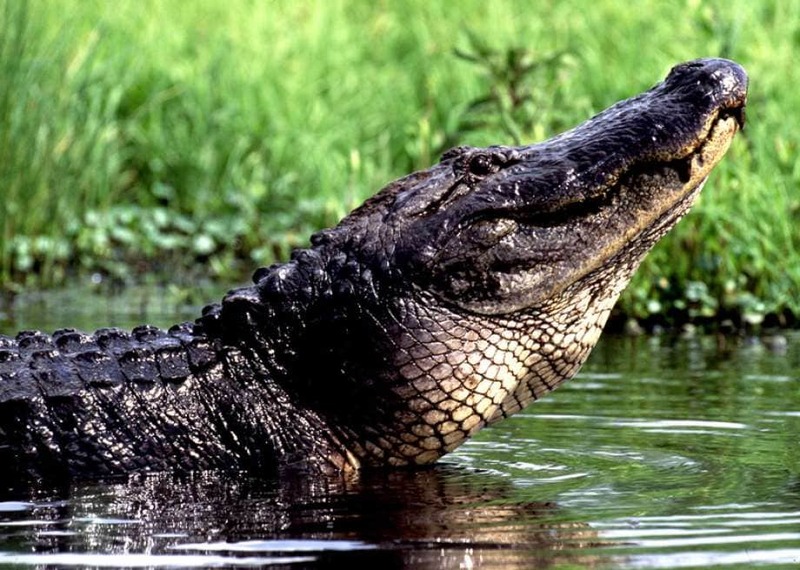 The historic, Southern city is also known for its impulsive and daring alligator behavior. In early 2016, an alligator emerged from the ocean waves to sunbathe on the beach for the afternoon. When he got his fill of Vitamin D, he walked back into the ocean for a relaxing, night swim. This type of sighting occurs more on Southern oceans than people are aware of. Gators are known to temporarily leave their hosting swampland and migrate to a nearby ocean shore for health reasons. The salt water cleanses their reptilian skin of parasites, which keeps their outer layer tough and in tip-top shape. You have the option of taking a swamp tour as well in South Caroline, but why not just head to the beach and watch the alligators head out of the waves for entertainment instead? The Everglades National Park in South Florida covers over 1 mile of swamp and wetlands, and is the prime location for seeing an American Alligator in its natural habitat. Once you’ve headed over to the park, you can take an airboat ride, hold baby alligators, and check out the snake display if you can’t get enough of a good time. The airboat ride is the main attraction of the Everglades Park and its 100% safe… as long as you follow the rules you’re given by the guide. The airboat guide takes you through the swamps in search of wild alligators. Throughout the tour, you’re the guide is likely to switch off the fan and sat idle so they wild animals aren’t scared away by the loud noises. The Everglades is best experienced on a family vacation and when you’re with a large group of friends. The Mobile-Tensaw River Delta in lower Alabama is populated with wild gators. 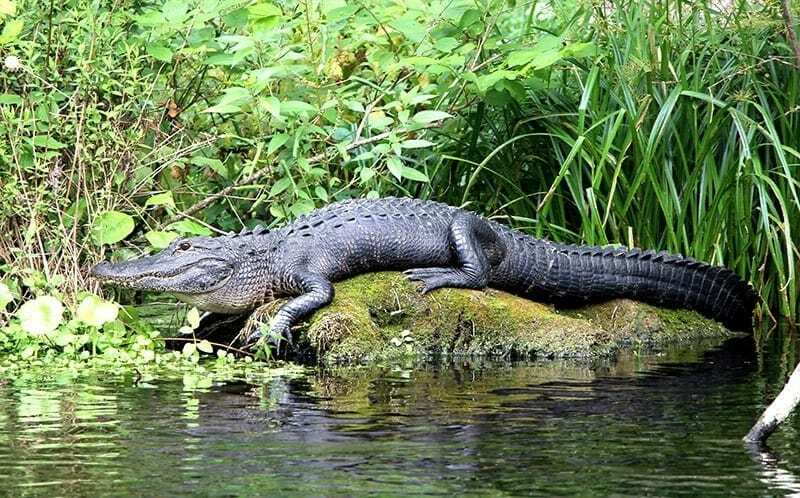 To encounter the Alabama alligators take a paddling or kayak trip down the river but if you’re not experienced in water sports, you may want to go with someone who’s able to hand navigating the water with strength. 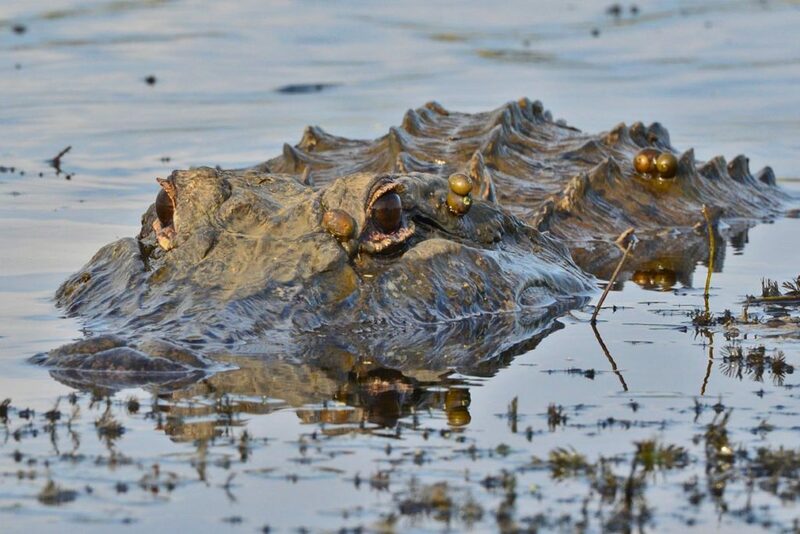 As you roll down the Delta, you’re bound to come across herds of alligators that are sliding down the banks and mysteriously lurking right beneath the water’s surface. The Delta is a beautiful sight to see, even without the presence of the prehistoric wonder. However, you’ll be accompanied by more than a dozen of the ageless animals if you’re brave enough to take a personal tour down the bayou. If you’re feeling extra confident, you can camp out overnight on one of the Delta’s floating sites. It’ll give sleeping with gators a whole new meaning. You may be surprised to see Southern, cowboy town on the list but trust us, Houston has its fair share of wild gators. 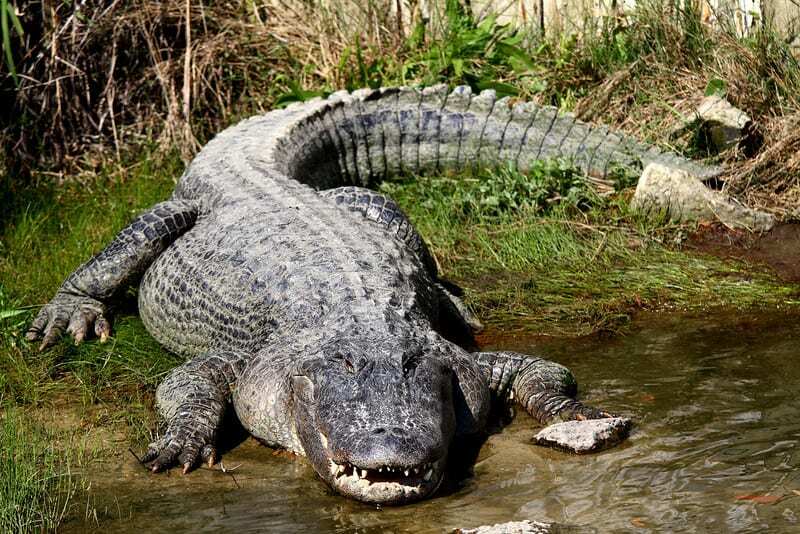 The alligators here are known to leave the comfort of their watery homes and venture into the city towards shopping centers and other human populated areas. Alligators are naturally timid and don’t attack unless they’re provoked, so seeing one take a day trip into town isn’t the most dangerous thing that’ll happen in Texas. Texas gators are usually seen hanging around in waterways but are also found in preserves in state parks. 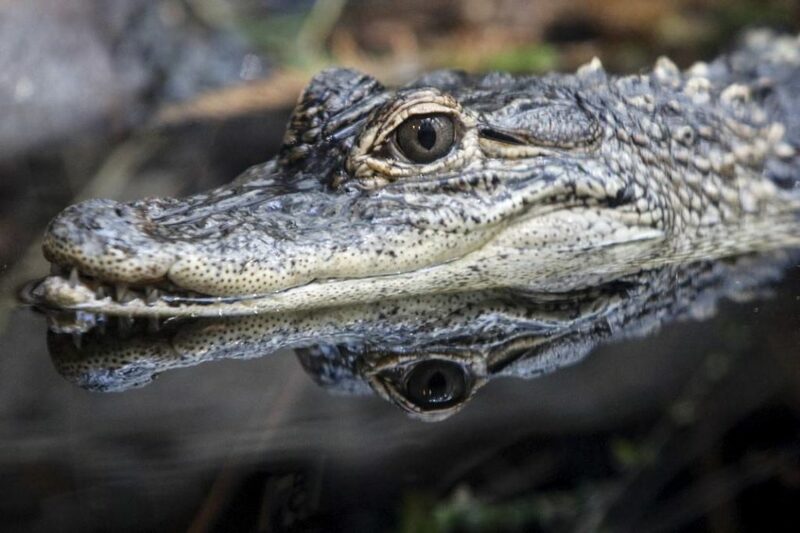 To see the largest collections of wild alligators in Houston, check out the Bay Area Park. Alligators are known to sunbathe and interact in large groups here, and you can participate in outdoor activities in their general vicinity without fear of being attacked. Just don’t threaten them or get too close.